It has been designed to meet OSHA standards for general purpose anti-slip surface applications. 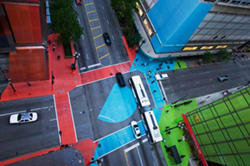 Asphalt Art maintains both NFSI and ASTM D-2047 certifications for non-slip surfaces. 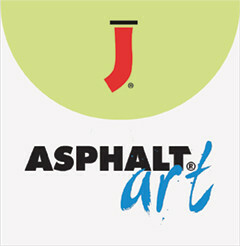 Asphalt Art only recommends the use of UV Curable and Latex inks and printers.